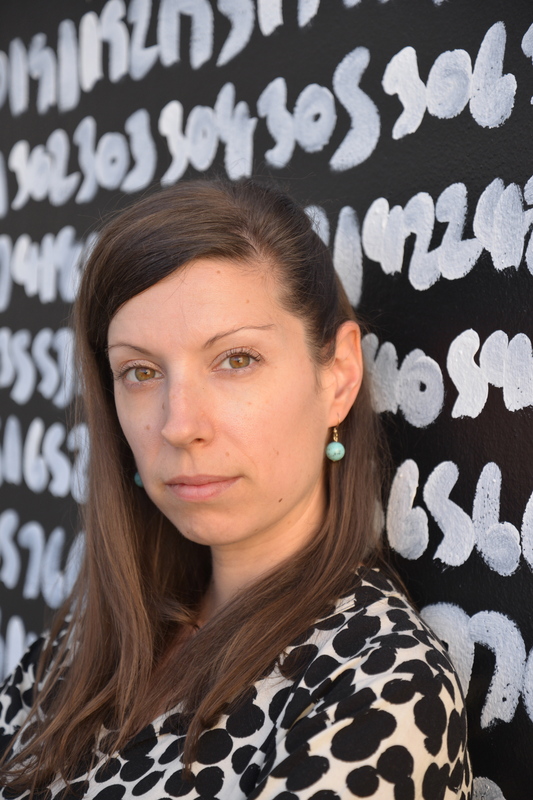 Mireille Bourgeois has worked in the non-profit sector for over 12 years as Communications Coordinator for an event-based organization, Curator/Programmer for Media Arts Organizations, President of a National advocacy group, and Executive Director of an arts organization. Her skills range from membership and volunteer outreach, long-term strategic planning and project management, policies and procedures writing, to curatorial programming and large-scale event coordination. She has written over one hundred successful funding applications to government, corporate and private investors, for the support of non-profit organizations, on a single project basis, or for operational support, as well as for the support of individual project or production grants. Bourgeois has also taught writing and grant development in a group setting for workshops. As one of the partners of Lellouche Partners, Mireille Bourgeois contributes to the mission of gathering and sharing global curatorial expertise. Lellouche Partners brings our clients a broad perspective on international art, the diversity of our networks and complementary skills. Lellouche Partners collaborates with private collections, institutions and cities to develop their access to international art. Curators across America, Asia, Australia, Canada, Europe and the Middle East collaborate to draw artistic talents from their respective regions. Our unique federation of experts identify and support the most significant art of today and tomorrow. From Biennales in Venice and Sydney to Art fairs in Toronto, New York and Hong Kong, we explore major international events and highlight leading art. We explore major international events, highlighting their cultural uniqueness and riches. A bilingual catalogue of the exhibition, containing full colour reproductions and four essays written by Mireille Bourgeois, Scott Birdwise, Pip Chodorov, and Amanda Dawn Christie, was launched by the Galerie d’art Louise et Reuben Cohen on November 19, 2014 during the FICFA (Festival international du cinéma francophone en Acadie). Amanda Dawn Christie: Land Lost was a solo exhibition that attempted a modest lineage of Christie’s art practice: from experimental film, to performance, through to photography and installation. The exhibit looked at the influence of spectacle and performance found in Christie’s work, the implications of nature in the artist’s films, and the personal sometimes self-deprecating world of DIY technology. 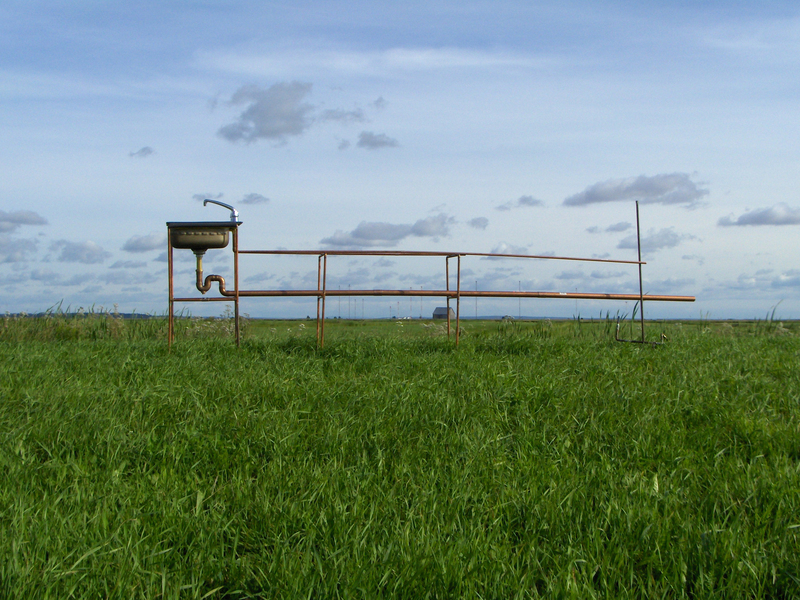 Here, Land Lost means to negotiate between one’s own site-specific state and the non-narrative space of memory and the mind. Permanent Revolution: Istvan Kantor is an artist monograph published by The Kantor Collective (Linda Feesey, Mireille Bourgeois, Istvan Kantor), and is funded by the Canada Council for the Arts. Kantor’s work as a media artist dates back to the late 70s in Montreal where he began producing videos. Kantor was a new immigrant, only recently arriving from Budapest via Paris, and interested in the new developments of current artistic expression where video was the new form to be explored. 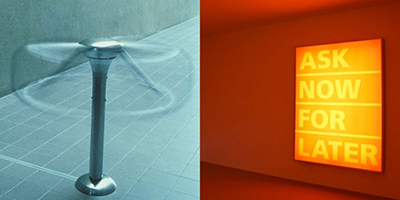 His media art can be described as technology based media art, including video, interactive robotic machinery, kinetic sculpture, transmission machine, extended body, and hyper-noise. Editor: Linda Feesey and Mireille Bourgeois, includes writers: Mike Hoolboom, Lewis Kaye, Shannon Bell, Istvan Kantor, Eszter Jagica, Kristine Stiles, and David Liss. 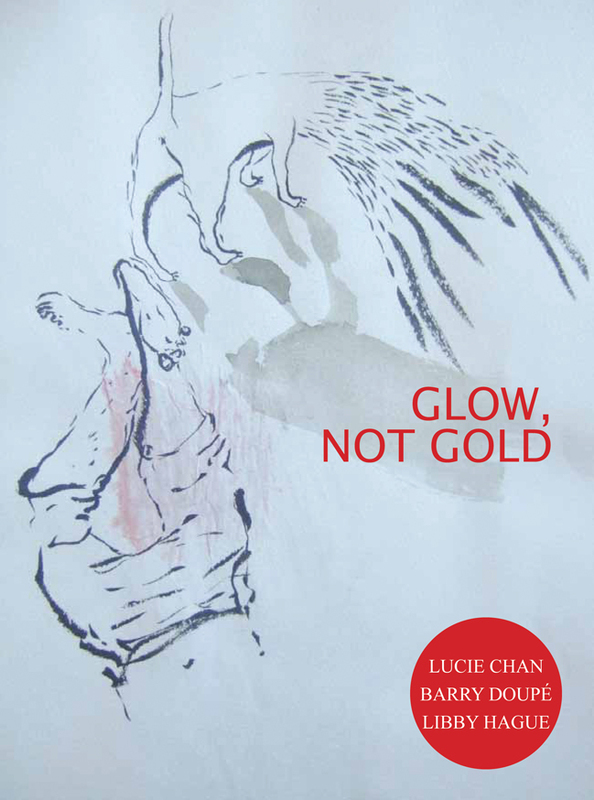 Glow, not Gold, inspired by the expression “All that glitters is not gold” is an artist book produced by the Centre for Art Tapes and Conundrum Press on the artistic practices of Lucie Chan (Toronto), Barry Doupé (Vancouver), and Libby Hague (Toronto), curated by Mireille Bourgeois. The book also invites two animation artists and critical writers: James MacSwain and Steve Reinke who write on the relationship of animated moving image practices within the visual art exhibition.